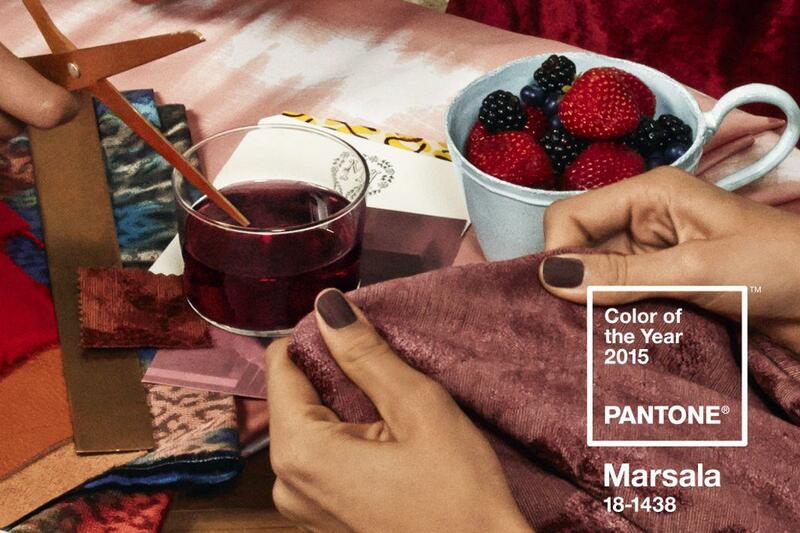 Marsala: Pantone announces its 2015 Color of the Year. 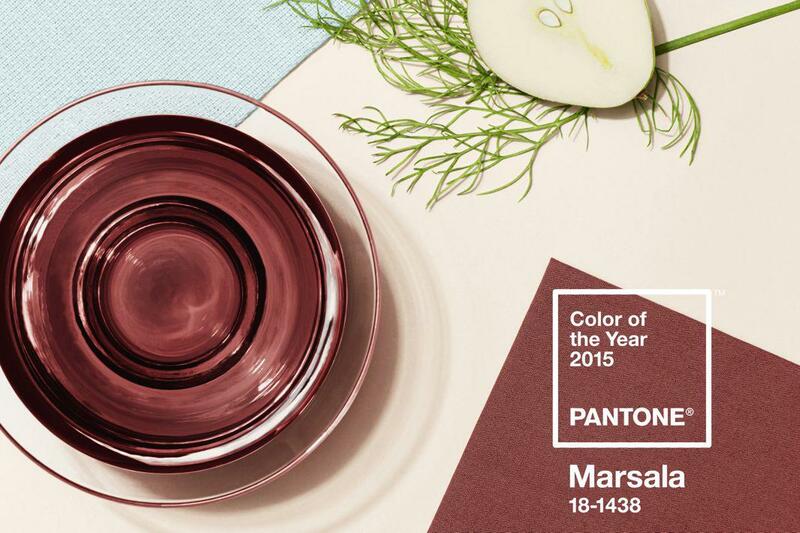 Pantone’s 2015 Color of the Year is named after Marsala wine. “Much like the fortified wine that gives Marsala its name, this tasteful hue embodies the satisfying richness of a fulfilling meal, while its grounding red-brown roots emanate a sophisticated, natural earthiness. This hearty, yet stylish tone is universally appealing and translates easily to fashion, beauty, industrial design, home furnishings and interiors,” Pantone proclaimed. 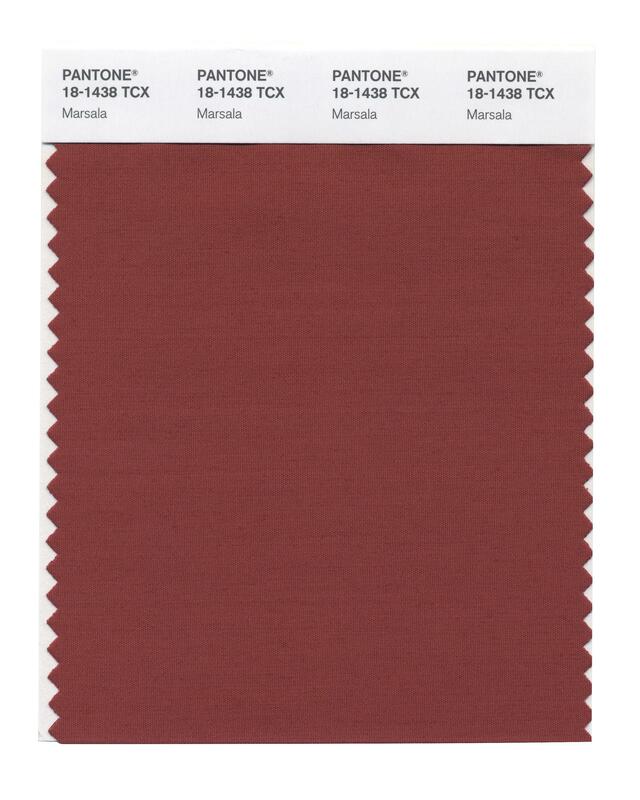 New York magazine’s The Cut called Marsala “icky.” In a post titled “The Problem With Pantone’s Color of the Year,” the Atlantic pointed out that Marsala reminded some people of “rust, the grimy, gag-inducing type that lines corners or frat boy dormitory-style bathrooms. Or blood, the freaky dried kind whose iron content has been exposed to the air long enough to evoke a dull brick.” Instead of the gourmet associations of Marsala wine and pomegranate fruit, as featured in the color campaign’s marketing images, the magazine suggested that it conjured visions of elementary-school mystery meat, liver, and meatloaf. Marketing images from the campaign for Marsala that show the color’s influence on food, fashion, beauty, and lifestyle. Eiseman of the Pantone Color Institute was unavailable for comment on the selection process, but press materials explained that it “requires careful consideration,” adding that Pantone “combs the world looking for color influences,” including the fashion and entertainment industries, art, popular travel destinations, technology, sports, and more. Marsala wine, fabric, and nail polish.